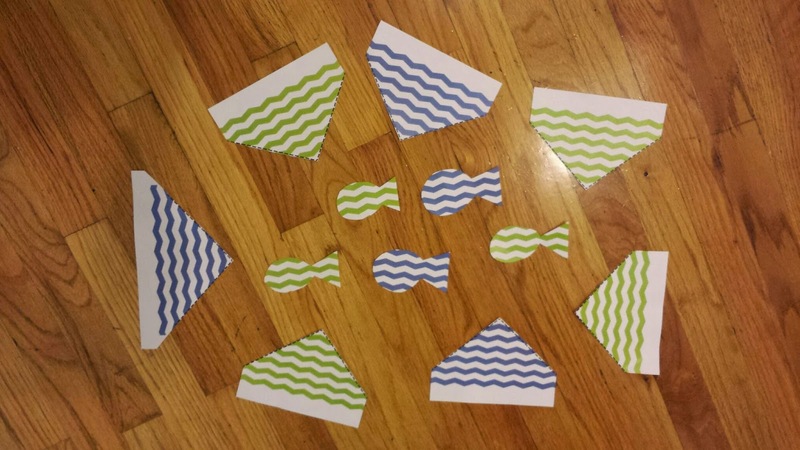 ChemKnits: Chevron Fish Birthday Banner - FREE PRINTABLE! I'm so happy that everyone loved Lucky's First Birthday Party! 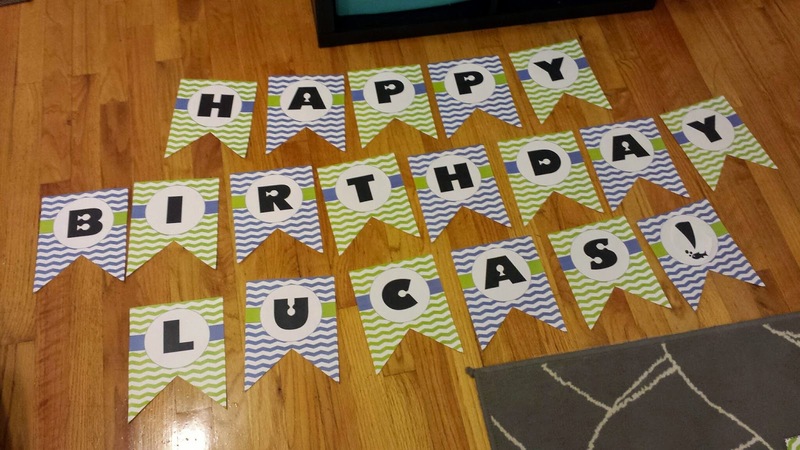 Some people have asked about the banner that we created for the party, so I wanted to share a bit about our Happy Birthday Banner. Plus, guess what! We are going to share a PDF of this fish themed birthday banner so you can create your own chevron fishy banner for a birthday party. Here on ChemKnits I like to share the process of the craft I am doing, especially when it is something that I designed. We went through multiple iterations and tests for this banner. 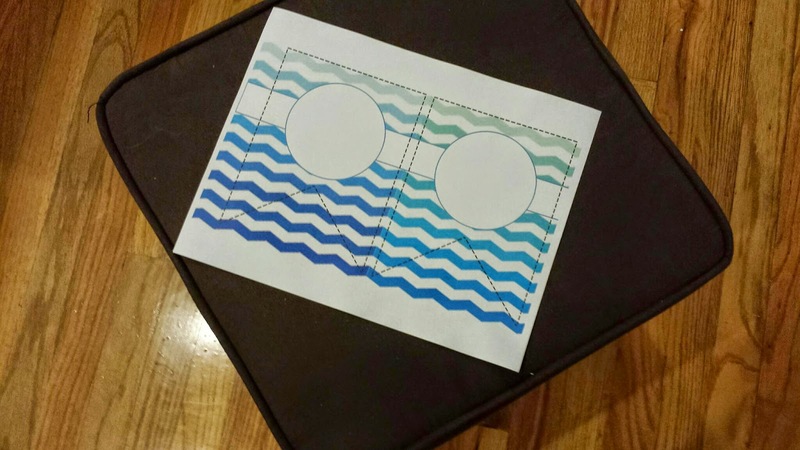 We started with an ombre chevron we found online and then redrew it in colors that we wanted. 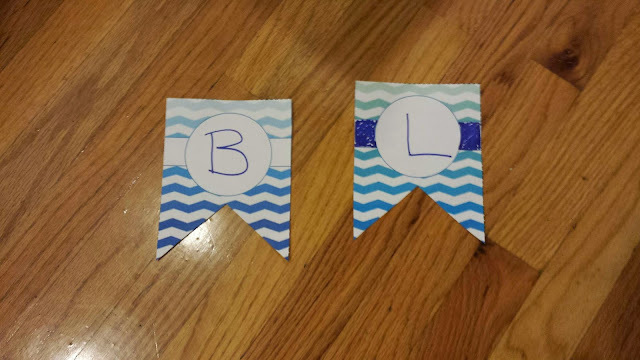 The first test had two letters to a sheet, but when we tried these out on the wall they just looked too small. We ended up using letters that filled an entire sheet of paper. There was a reasonable amount of cutting to do after pages were printed, but I think the banner is really special and perfect for our under the sea themed birthday party. We downloaded multiple water themed fonts to make this banner. In the end, we settled on a font called Findet Nemo in size 350. 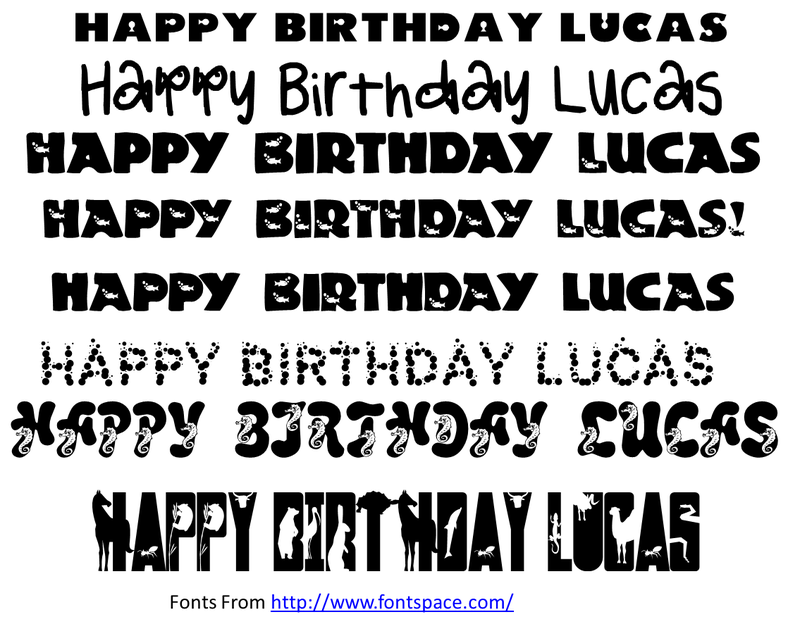 The font was a free download and is a really simple fish theme with bold block letters. We didn't want the font to overwhelm the banner, but wanted something that would subtly be on theme. 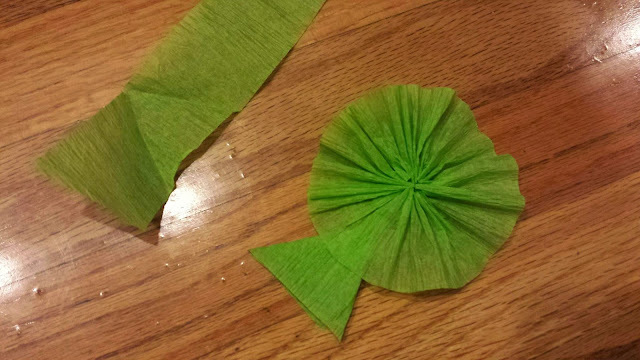 I secured the banner to the wall with little crepe paper rosette fish. (Well I, secured them with tape, but I covered the tape with the fish so it looks like that's how it is secured.) 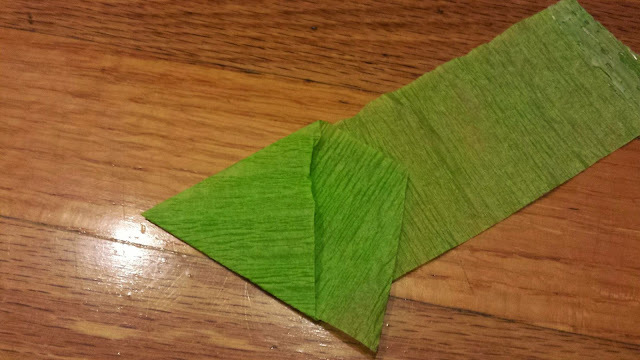 I turned these into fish by making little crepe paper triangle and taping that to the back of the fish. I secured the triangle to the back of the rosette to make them look like mini fish. 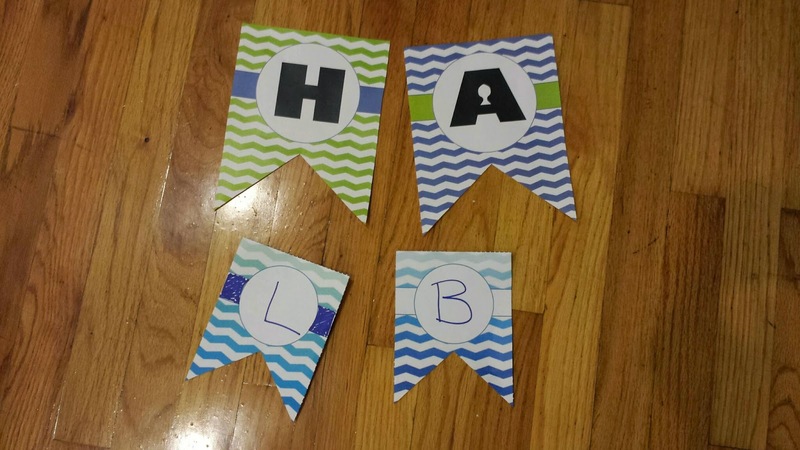 What can you do with the extra chevron paper you get after printing out your banner? 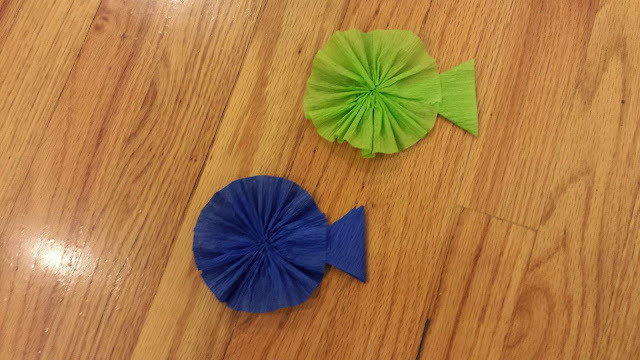 I cut them into tiny fish that I used elsewhere in the party decor. Once again, here is the link to the Fish Chevron Happy Birthday PDF! (PDF available through Google Drive.) You have all the sheets to spell "HAPPY BIRTHDAY!" plus some blank bubbles so you can add your own name to the mix. I have included the link to the font we used previously in this post and the font size so you can print your own letters to spell a name, or else you can hand write in the name. Enjoy! I hope that this free fish chevron birthday banner will be helpful for your party. Let me know what you think in the comments. This is perfect for my son's first "The Big One" birthday. Thanks so much!